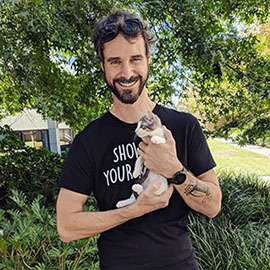 IF YOU HAVE COME TO THIS PAGE TO CONTACT US ABOUT AN ANIMAL UP FOR ADOPTION PLEASE GO BACK AND CLICK ON "FIND OUT MORE ABOUT THIS PET" IN THE TOP RIGHT HAND CORNER. 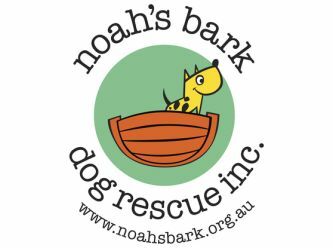 We are a small animal rescue group based in the northern suburbs of Melbourne. We exist to give companion animals, mainly dogs, that have nowhere else to go a second chance at life. Our dogs come from puppy farms and pounds as well as surrendered animals. Our dogs are desexed microchipped, vaccinated and vet checked before going to new homes. Prospective adopters are interviewed by phone, followed by a meet and greet. Providing the meet and greet goes well the dogs are left on trial for a week to ensure its a good fit. This is followed by a formal adoption. Due to us visiting the prospective home for a meet and greet, we do not rehome outside of Victoria. Beatrix is a lovely little girl that wants and needs her new owner around most of the time. She will be looking for a forever home where she will be the only pet. 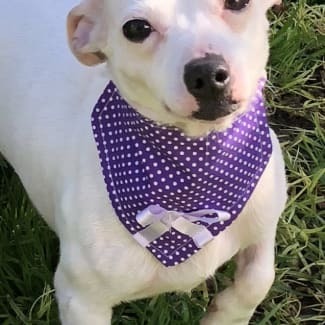 As Beatrix is socially inept with other dogs, she will need to have an owner that is extremely dog savvy and preferably has had experience with dogs from compromised backgrounds. Meeting other dogs on a casual basis for example a friend’s dog or meeting other sociable non confrontational dogs at the park will be beneficial for Beatrix but again this will only be possible with an owner who can read and anticipate Beatrix's behaviour and body language signs. Beatrix will be suited to a home where her owner either is retired or works from home and can commit to ongoing behavioural and social training and will also have the time and patience to dedicate to all other aspects of her welfare. As our girl has a nervous disposition, she will not be suited to be placed in a home with children. As Beatrix has quite a complex list of requirements this is only a brief summary of the type of owner and lifestyle she will need. Perri would be ideally suited to an active family that would play ball, run around with him and generally spend time outdoors with him helping him to use up all his wonderful new found energy. In return Perri will love you to the moon and back. He will be happy to co exist with another small dog as long as they respect his space. Perri will need to be placed with a dog savvy new owner or family as he has a fairly strong personality so he needs to know his place in the pack or he would take over and rule the roost !!!! 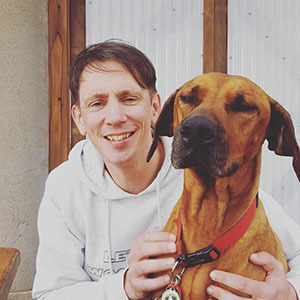 Perri has hypothyroidism and takes daily medication which is keeping his condition stable. A 3 monthly veterinary check would be required to make sure that everything is as it should be. 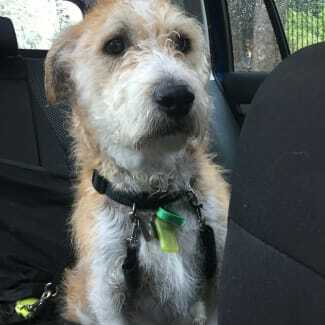 Perri is a medium sized terrier and is fairly strong on a lead so would not be a suitable companion for an elderly person or someone who is physically compromised. Perri will be suited to a family with older children as toddlers he may knock over with his exuberance. Perri would need to be placed in a cat free home.